My most requested tutorial starts today. In this part of my Django tutorial I’ll show you how to install Django on both Windows and MacOS. I tested this series of steps on multiple machines to hopefully guarantee that nobody has any trouble installing Django. 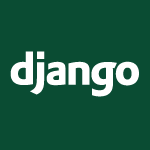 Django is one of the easiest web frameworks to work with, while being extremely powerful. I have a step-by-step list of everything in the video below the video on this page. D. Click continue a few times. Agree to the terms and install. You may have to enter your password. 4. Create a Python Virtual Environment so we don't have to worry about changing dependencies that your system may not want edited.